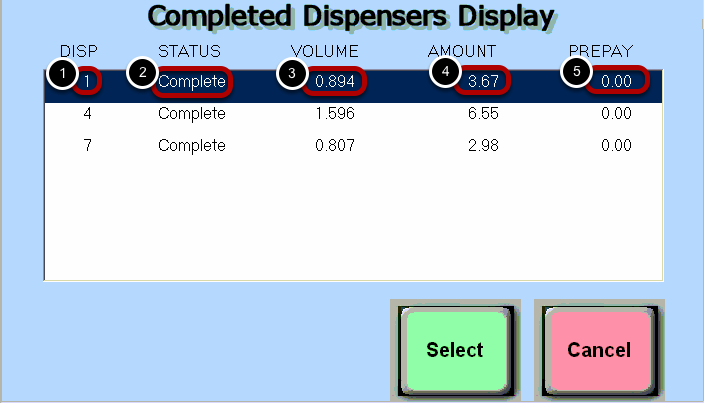 TravStar1 Point Of Sale SystemRegister Manual Gas TransactionsHow Can I Tell If a Dispenser Is Fueling or When It Is Complete? How Can I Tell If a Dispenser Is Fueling or When It Is Complete? This lesson will teach you how to recognize when a dispenser is fueling and when fueling has completed. When the dispenser is in the process of fueling, you will see this icon. When the pump is finished fueling and is waiting to be tendered out, you will see this icon. Another way to see which pumps are currently fueling is to touch the "Pumps Fueling" button. 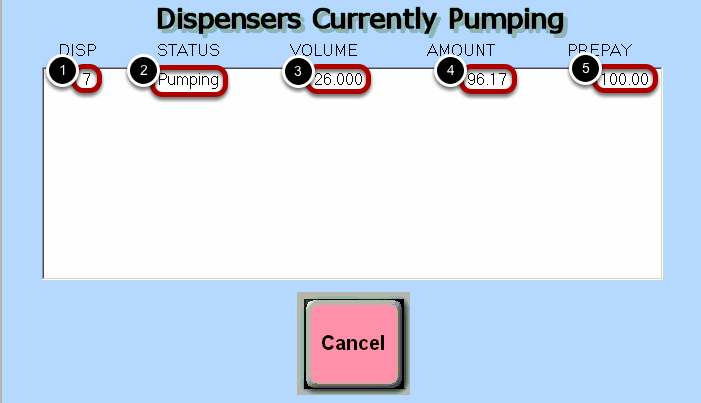 Another way to see which pumps have completed fueling is to touch the "Pumps Complete" button. Next: How Do I Ring a Fuel Transaction Once It Is Complete?